While it is true that anesthesia cannot be 100% risk free for people or pets it is possible to make it a very controlled, very low risk event. To do this we begin by thoroughly performing pre-anesthetic tests in our patients. To ensure safety and comfort we maintain an inventory of the best available anesthetic and analgesic agents and we have assembled sophisticated equipment to provide the most thorough monitoring of our anesthetized patients. In addition, all anesthetized patients are monitored continuously by one of our trained technicians throughout the anesthetic procedure. 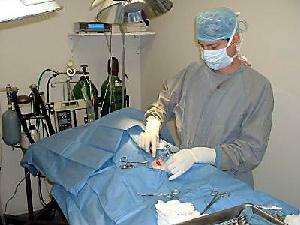 Each of our anesthetic patients has a pre-anesthetic examination. Since we want to make sure that our patients do not have any pre-existing problems that could change or contraindicate the anesthetic protocol used, we perform blood-work prior to anesthesia. On younger animals we can perform this in-house the day of the procedure, but for dogs and cats over seven, we usually will want comprehensive lab work performed at an outside laboratory within one to two months prior to the procedure. 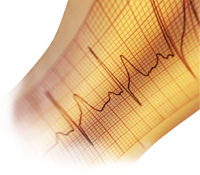 In addition, we routinely perform an electrocardiogram (EKG) prior to the procedure, which is reviewed by a board-certified specialist to ascertain that there are no pre-existing electrical abnormalities that could complicate anesthesia. Technology plays a vital role in anesthetic safety. Since there are no anesthetics that are perfectly tolerated by all patients, in-depth monitoring equipment is essential. Anesthetic complications, while rare, almost always start out gradually. Early detection and prompt correction of these variations is necessary for safety should a problem occur. Our anesthetic protocols call for every patient to have heart rate, respiratory rate, pulse oximetry (percent of oxygen in the blood), EKG, and blood pressure monitored regardless of the age of the patient or the procedure being performed. As anesthetized patients lose the ability to maintain their body temperature, external warming devices are used to keep your pet warm throughout the procedure. All of our patients receive pre-anesthetic medications that are tailored to their individual needs in order to minimize pain and anxiety. Intravenous catheters are used for every anesthetized patient to administer fluids and medications, and to maximize safety in the rare event that emergency medications are needed. All anesthetized patients have a breathing tube placed in order to administer oxygen and to ensure that their airways remain open throughout the procedure. A separate anesthetic record is kept during the surgery and placed in the patient record in order to serve as both a record of the procedure and a reference for future anesthetic events. Just like people, animals feel pain. Studies on both animals and humans show that pain increases complications and delays healing and recovery. Therefore, all patients having surgery receive pain medications. As both human and animal studies also indicate that different types of pain meds used together are more effective, we routinely use multimodal therapies. 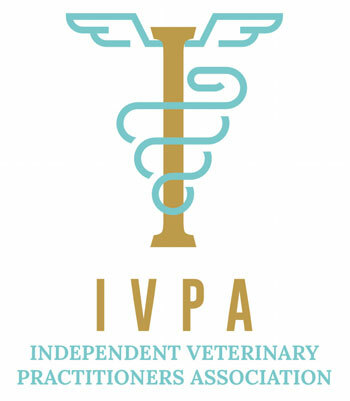 Dr. Hornstein is a member of the International Veterinary Academy of Pain Management, an international group of veterinarians dedicated to promoting, enhancing, and advancing pain management in animals. One common question we get about anesthesia is how old does an animal have to be before they are unable to be safely anesthetized. The answer to this is that age is not a disease; therefore age is not a determinant as to whether anesthesia can be safely performed. Studies in animals have not shown an increase in complications based upon age. However, as animals age, concurrent diseases are more likely, hence why we require more stringent preoperative testing. 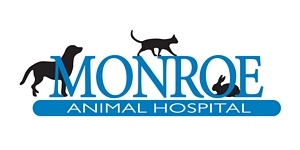 At the Monroe Animal Hospital we routinely anesthetize geriatric animals, and Dr. Hornstein has even performed surgery on dogs and cats as old as nineteen years of age! While no one can state that anesthesia is risk-free, the odds of complications using today’s anesthetics and monitoring is quite low. Feel free to ask us about any questions you may have regarding your pet’s procedure.